Family Owned and Operated since 1964. Large inventory of New and Pre-Owned Vehicles. Here to Help Find the Right Car for You. No Stress Pre-Owned Precision Pricing Policy. MakeMyDeal – Create your Offer Online. We’ll Buy Your Car, Even if you Don’t Buy Ours. Guaranteed Next Day Service Appointments. Pick-up and Delivery Option for Service. Over 200 Courtesy Vehicles Available for Service. WHEELS: 17 TWIN 5-SPOKE (STD), WHEEL LOCKING BOLTS, SD-CARD NAVIGATION PRE-WIRING, PREMIUM PACKAGE -inc: KEYLESS GO, HANDS-FREE Comfort Package, SiriusXM Satellite Radio, HANDS-FREE ACCESS, Electronic Trunk Closer, LIVE TRAFFIC, HEATED FRONT SEATS, CONTROL CODE, BRUSHED ALUMINUM DOOR TRIM -inc: Natural Grain Black Ash Wood Center Console, BLIND SPOT ASSIST, BLACK, MB-TEX UPHOLSTERY. 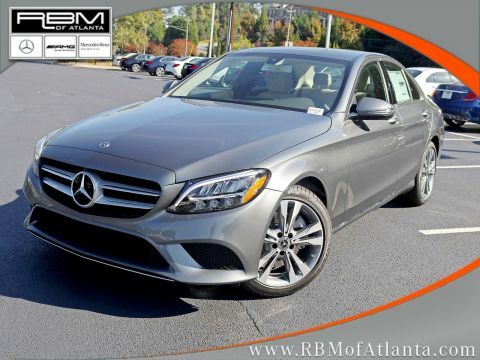 This Mercedes-Benz C-Class has a dependable Intercooled Turbo Premium Unleaded I-4 2.0 L/121 engine powering this Automatic transmission. 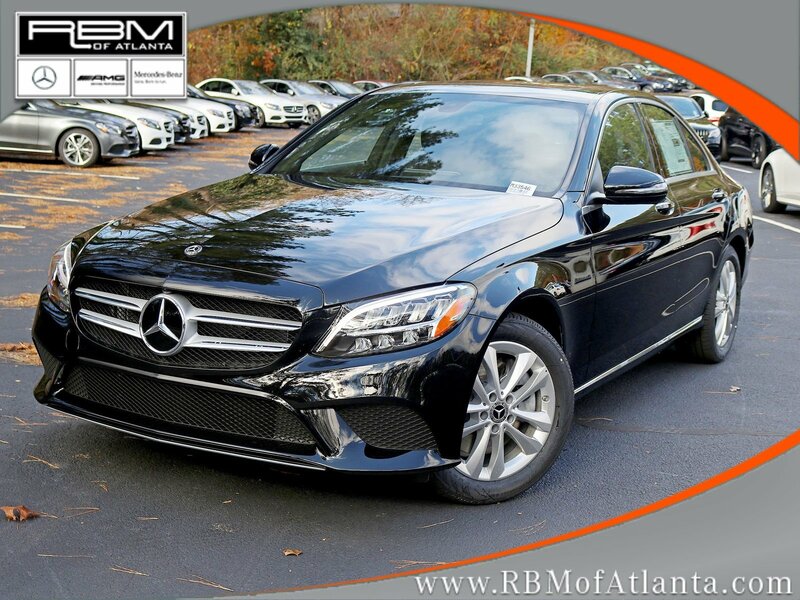 *Experience a Fully-Loaded Mercedes-Benz C-Class C 300 *BLACK, 10.25 CENTER DISPLAY, Window Grid Antenna, Valet Function, Urethane Gear Shift Knob, Turn-By-Turn Navigation Directions, Trunk Rear Cargo Access, Trip Computer, Transmission: 9G-TRONIC 9-Speed Automatic, Tires: 225/50R17, Tire Specific Low Tire Pressure Warning, Systems Monitor, Strut Front Suspension w/Coil Springs, Side Impact Beams, Seats w/Leatherette Back Material, Remote Releases -Inc: Power Cargo Access, Remote Keyless Entry w/Integrated Key Transmitter, 4 Door Curb/Courtesy, Illuminated Entry and Panic Button, Redundant Digital Speedometer, Rear-Wheel Drive, Rear Fog Lamps. 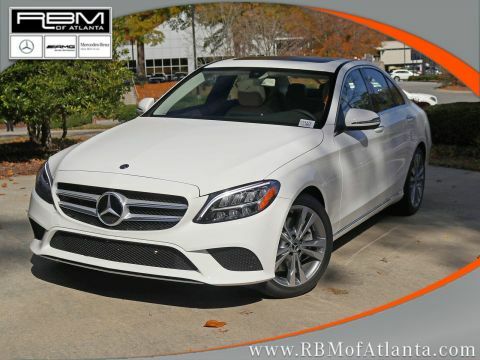 *Stop By Today *For a must-own Mercedes-Benz C-Class come see us at RBM of Atlanta, 7640 Roswell Road, Atlanta, GA 30350. Just minutes away! 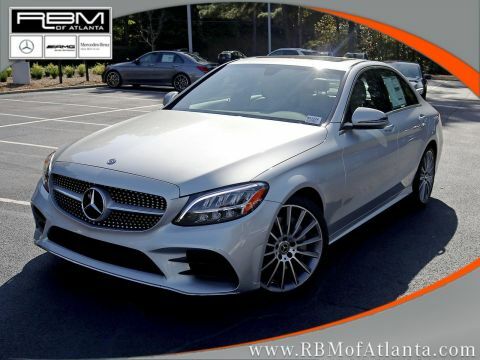 All prices shown exclude taxes, tag, title, and Georgia Lemon Law fees. While every reasonable effort is made to ensure the accuracy of this data, we are not responsible for any errors or omissions contained on these pages. Please verify any information in question with the dealership. Options, pricing and availability subject to change. Call 770-390-0700 for details. RBM of Atlanta	33.96352, -84.3663612.